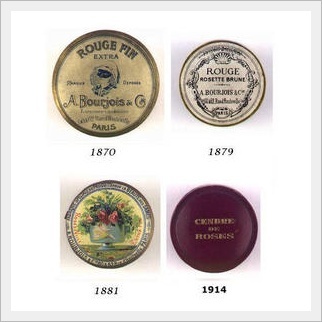 Then in 1863, he created a baked 'dry' powder that was perfumed with a delicate rose scent, which was made accessible not only to actresses but all women in decorated cardboard boxes (which I think I would like better) The blusher was dry-baked in a dry room in the Bourjois factory in Pantim, a suburb in Paris. 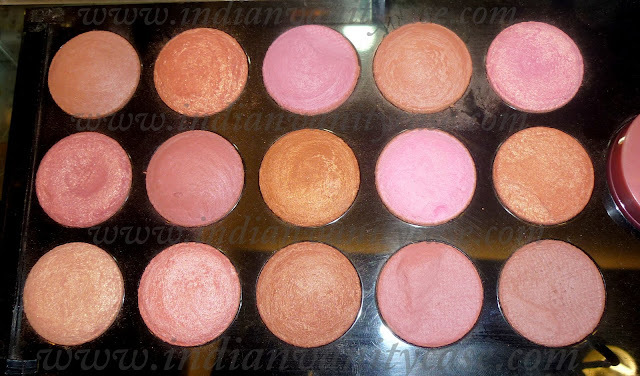 However, the dry baked blushers were given names to describe their colors until 1879, one of the first being 'Rosette Brune' Can you believe this classic shade still exists today??? It's now called 'Cendre de Rose Brune' (3rd in the pics below) I didn't know! Otherwise I would've bought it without a second thought! 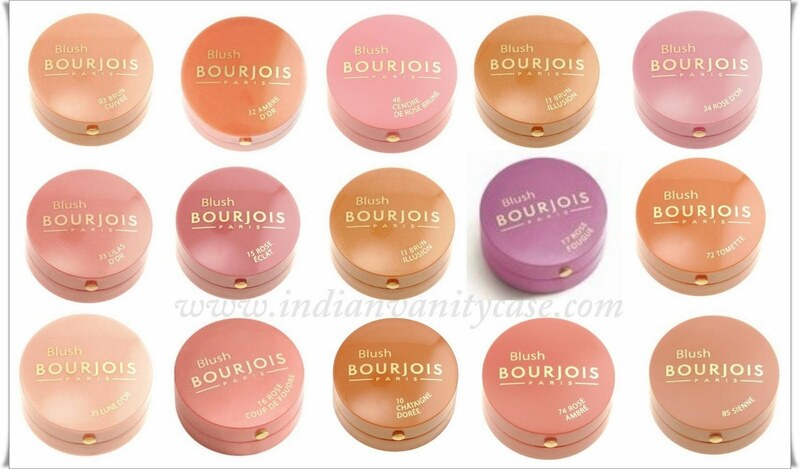 There are matte and shimmery with golden flecks Bourjois blushes. The ones with gold shimmer are all the ones with the word "d'or" at the end. 'D'or' means 'golden' in French. 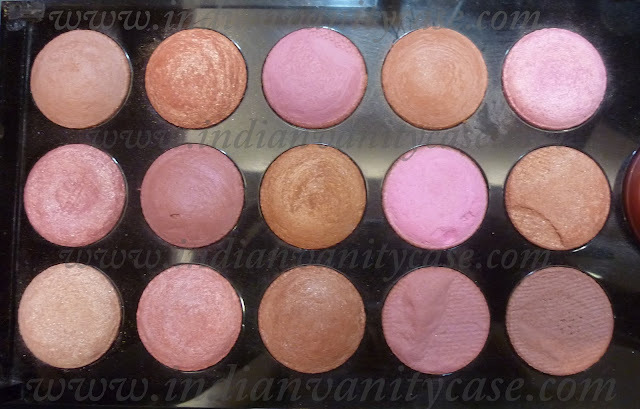 Here are 15 shades of the blushes available in India. ENJOY! With Lune d'or it was love at first sight. It is so gorgeous! 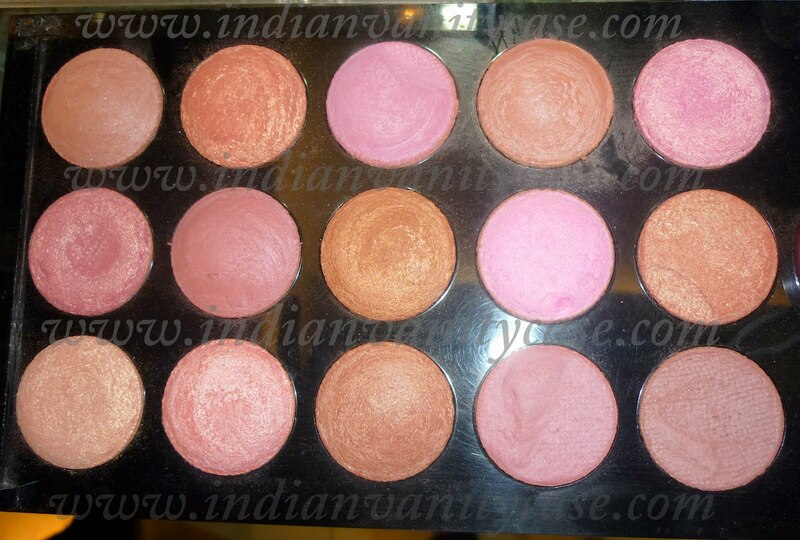 It would work as a blush or a highlighter. 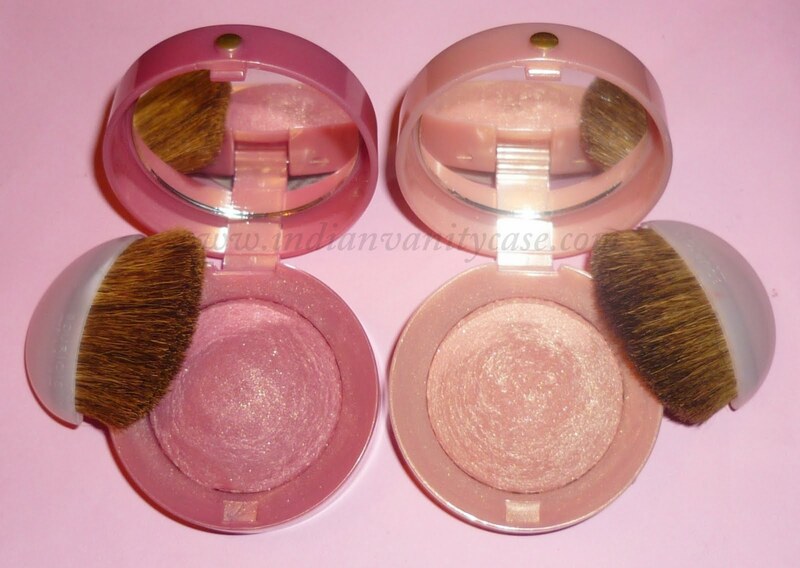 how much does this blush cost??? I got my hubby to get me Lilas 33 after reading yr dupe report to cheer me up through the illness.. & boy is it pretty! ooohhh...love the shades. will pick up one next week. Hey Cyntheia i know I am little late to ask .... but do u have any idea where to get Bourjois in Noida . 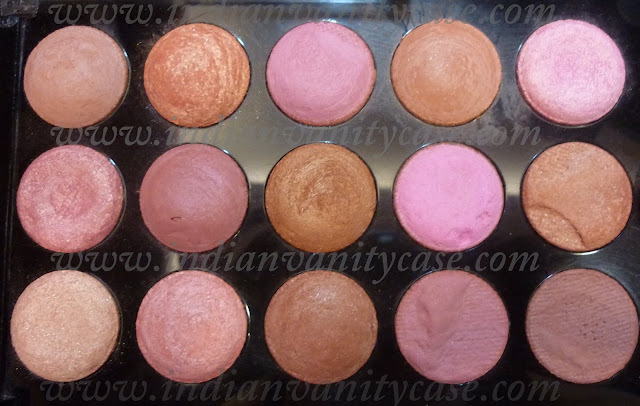 OOOO..This is sooo cool..I'm a fashion history addict..You so have to check out Maybelline's history-invented mascara..and Max Factor (invented foundation, the term 'make-up' and lip gloss) as well..
Hey cynthia , I wanna know what shade exactly is the 4th from left , brun cuivre or not ?? Coz , i like it alot . Akriti- Hi...thank u so much! Yes, I'm almost positive it's Brun Cuivre after googling it too. 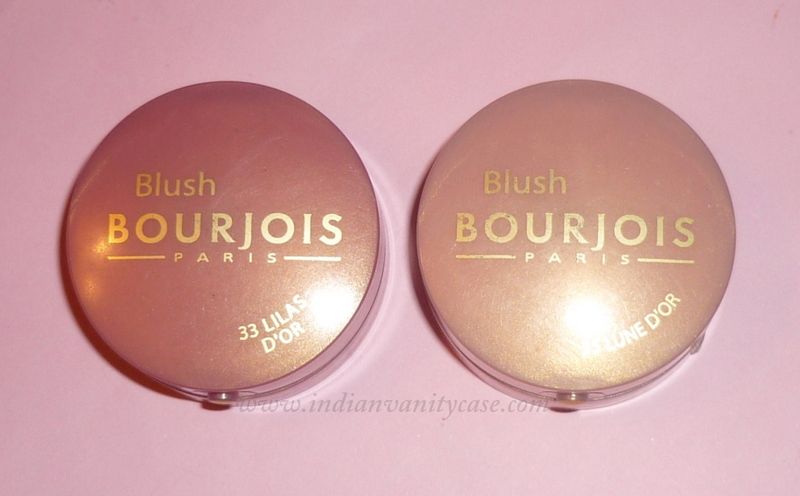 Where do you buy in the usa the bourjois blusher?